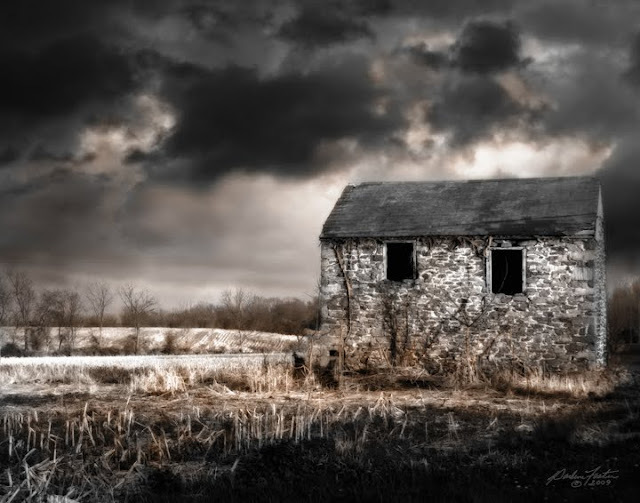 I first photographed this old stone building in 2006 on my New Jersey backroads travels. 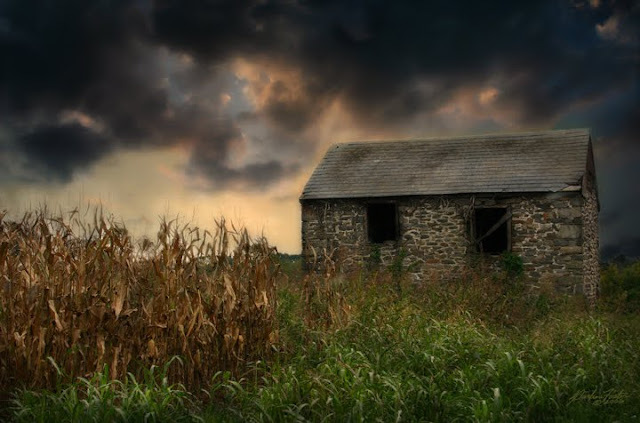 The resulting piece became "Shelter from the Storm" with the drying cornstalks trailing off into the tall grass in front. I never seem to remember to document the location of the subject for future reference (note to self- document locations!!) in case I want or need to revisit so I was pleasantly surprised when I came across it again this year. The scenario was totally different. The cornstalks and grass were down revealing trees and fields in the background that weren't visible the first time around. The new image seemed to lend itself to minimal color and starkness that became "The Morning After". Arts on Amboy Best in Show! Needless to say, this has been a very rewarding past few weeks for me! 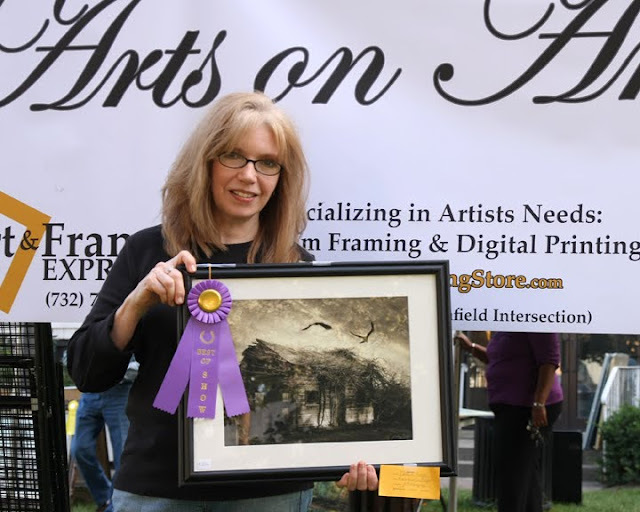 "A Wing and a Prayer" won Best of Show at the 1st annual Arts on Amboy exhibit in Edison, New Jersey! There was a great turnout of artists from student to professional with some amazing artwork in all different categories. I particularly enjoyed a long conversation with artist Marcel Truppa who had some fantastic collage work in the show. He has a rich history as an artist with lots of interesting tales to tell. I think you'll enjoy checking out his work and reading his story. Winning this award was made even sweeter by the fact that one of the judges was a photographer/digital artist whose work I greatly admire, Jim LaSala. I think you'll feel the same way after seeing his incredible images. Many thanks to another great photographer, Mitch Rubin of PM Studio, for taking the photo of me with my ribbon!